Hello, Pseudo Pstalkers! (I’m trying to think of a nickname for my followers… is this good or just weird? Tell me!) With some of the recent footage from Bravely Second, the Bravely Default sequel, I thought I should write a small entry on why I am both excited and not for this new release. My reason for being both excited and not for Bravely Second is the same: I didn’t like Bravely Default. Yes, I know I’ve left myself wide opened for an attack, and I’m willing to embrace the hits from disappointed readers and BD fanatics, but only after they hear me out. First, let me just say that there is a lot to like about this game. The art and graphics are beautiful, the world design is fantastic and classic, and the turn-based fighting is original and surprisingly fun. To be honest, there’s only one aspect of this game that I don’t like, but it’s a real biggie in my book. That aspect is characterization. Or, if you don’t like that word, let me put it this way: the personalities of the characters in Bravely Default are unexciting and overused. Will new characters be more original than the old? 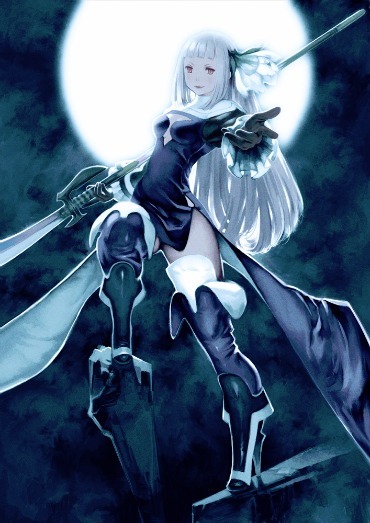 I know the plot of Bravely Default is quite interesting – there are several plot twists, character reveals, and one crazy-ugly makeover – but I think the creators approached the project with tunnel vision, focusing tightly on a complex plot and intriguing character backgrounds, and unfortunately missed an opportunity to make some original, well-rounded characters. I am disappointed to say that many of the minor characters have about as much personality as the main four. I also think that a good story can only be told with good characters, nevermind the allure of the plot; a good story won’t stick unless it’s populated with multi-dimensional characters. And a good video game should at least have some hecka good characters. It’s the characters that people will remember. So I am not excited for Bravely Second if it adheres to the same tropes as the first game, but I am excited and hopeful for a Bravely Default that transcends the trope. My fingers are crossed for some new characters (and maybe some new voice actors, too) that will give me reason to enjoy the entirety of a Bravely Default game. Want to claw my eyes out for not finishing Bravely Default? Please don’t… but feel free to leave a comment and tell me why you love the game! Or tell me if you’re on my side!